Zimbabwean Archbishop, John Sentamu has worn his collar for the first time in 10 years, now that President Robert Mugabe has resigned. 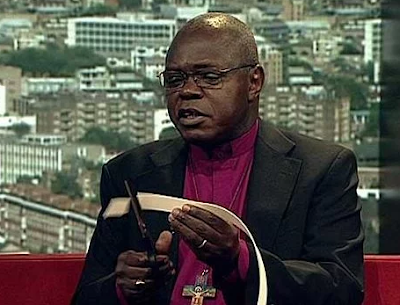 The Archbishop of York cut his old collar on live TV back in 2007 in protest at abuses in Zimbabwe, saying he would not wear one again until Mugabe stepped down. 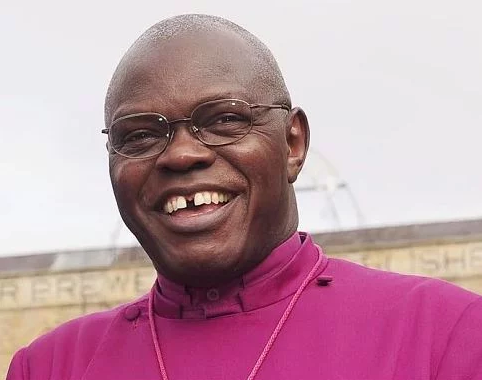 Dr. Sentamu said a South African-style truth and reconciliation process was needed to heal Zimbabwe’s divisions following the end of Mr. Mugabe’s 37-year rule. He said Zimbabwe’s new president, Emmerson Mnangagwa, a former ally of Mugabe, should not attempt to ‘bury the past’ and his role in it. “He needs similar to what South Africa did a truth, justice and reconciliation commission to look into it so that this doesn’t hang over him like a big cloud. I’m a man of faith, a strong believer in hope and a strong believer that people can change; so it’s quite possible that Emmerson Mnangagwa could actually be a very good president. But he can’t simply bury the past, it won’t go away” he said. Asked if 93-year-old Mr. Mugabe should be forgiven, he said: “Mugabe at some point needs to say to the people of Zimbabwe: ’37 years (ago) I took on a country which was fantastic, I nearly took it to ruin, Zimbabweans forgive me.’” Sentamu said a voice had told him to ‘light a candle’ in the days leading up to Mr. Mugabe’s downfall. The first burned out on November 14 as the military takeover began, while a second lasted until November 21 the day of Mr. Mugabe’s resignation.